Please type your desired tags, e.g. Geoscience, Economics, Political Economy, Terrorism, Latin America, Institute for Urban Policy Research, Epigenetics, Bionan, Acounting, 3d printing, Health Careers Preparation, American and British Women’s Literature, Communication, Literary Theory, Holocaust Studies, and etc. Cellular and Molecular Neuroscience. How peripheral stimuli communicate to the CNS to elicit complex behaviors: An emphasis on pain, depression, and metabolism. Dr. Burton is a new Assistant Professor whose research focuses on how the immune system modulates peripheral sensory neurons to regulate pain and energy homeostasis. 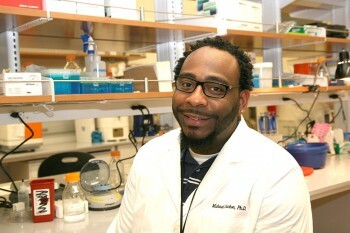 Michael received his BS and PhD in Animal Sciences with a focus on Immunophysiology and Behavior at the University of Illinois at Urbana-Champaign. He then moved to Dallas, TX to begin his postdoctoral fellowship work in the Department of Hypothalamic Research at UT Southwestern Medical Center. There Michael gained skills in molecular genetics, neuroendocrinology, and neuroanatomy; in studies that focused on how peripheral ganglia recognized dietary components. He then moved to the UT-Dallas campus to focus on how immune cells influence the transition to chronic pain. It was the fusion of these 2 experiences that formed the basis of a recently awarded NIH-Transition-to-Faculty Award. He believes in order to traverse the gap between basic research and clinical application to the patient, we must realize and appreciate pre-clinical research. He is excited at the notion to play a role in this process, and help humankind through his research in pain development, depression, and metabolic disorders that we deal with every day. Two new assistant professors have joined the School of Behavioral and Brain Sciences (BBS) faculty this fall, and one is a familiar face. Dr. Michael Burton, added as an assistant professor of neuroscience, has been a postdoctoral researcher at The University of Texas at Dallas since 2015. He joins Dr. Jiyoung Park, assistant professor of psychology, as new tenure-track professors in BBS this semester. 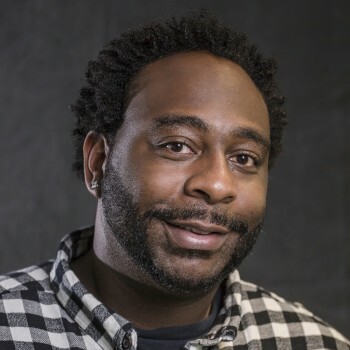 A postdoctoral researcher in the School of Behavioral and Brain Sciences has won a prestigious grant from the National Institutes of Health (NIH) that is intended to help him further his research and transition to a faculty position. It is the first time that a postdoc from UT Dallas has won the award. Dr. Michael Burton, who works in the neuroscience department with associate professor Dr. Ted Price, will receive approximately $800,000 for winning a K22 grant from the National Institute of Neurological Disorders and Stroke (NINDS). The grant will provide funds for Burton’s research on how the immune system can affect pain.